Philadelphia chromosome-like acute lymphoblastic leukemia (Ph-like ALL) a form of ALL that is associated with high-risk clinical features, refractory responses to conventional chemotherapy, high relapse rates and poor survival. Genome profiling and genomic sequencing have shown that Ph-like ALL is characterized by a diverse range of genetic alterations and mutations that dysregulate tyrosine kinase and cytokine receptor signaling pathways, especially those associated with Janus activating kinase (JAK). 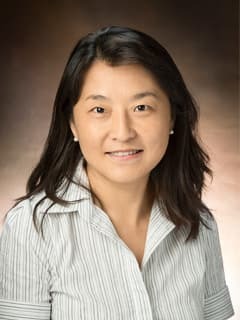 Wei Tong, PhD, and a team of researchers at the Center for Childhood Cancer Research have shown that the lymphocyte adaptor protein LNK (also called SH2B3) is a powerful negative regulator of cytokine-mediated JAK2 signaling in hematopoietic stem cells. Loss-of-function LNK and deletion mutations have been identified in pediatric Ph-like ALL and the germline loss of LNK in a transgenic mouse model of disease contributes to the development of ALL. More recently, researchers at the Center for Childhood Cancer Research created two novel Tp53-/- Lnk-/- and Ink4a-/-Lnk-/- transgenic mouse models that resemble pediatric Ph-like ALL at the molecular, cellular and mechanistic levels. Experiments using these models revealed that LNK is a bona fide tumor suppressor in B precursor cells and that it exerts its effects through IL-7 receptor/JAK/STAT signaling. Also, LNK deficiencies may dysregulate or affect other cell signaling pathways, including PI3K/AKT/mTOR and MAPK, and contribute to ALL development. Additional preclinical studies are underway using these model systems and creation of new models with CRLF2/JAK2 mutant mouse strains to further decipher the underlying molecular mechanisms of pediatric Ph-like ALL and to explore new therapeutic strategies to treat the disease.